What is Facebook’s Branded Content Tool? When should you use it? Is it just for sponsored content? 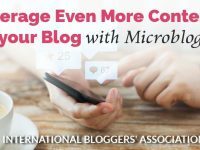 Learn all the in’s and out’s about this new required tool for bloggers and social media marketers. Be sure and ‘PIN’ this image, because you will want to find this post later! Facebook’s Branded Content Tool is now required for any sponsored content on Facebook pages. This post will explain what it is, how to use it, when to use it and what you can’t do with it. At least this is how it is for now. It needs work, and hopefully, Facebook will make the changes content providers are begging for. 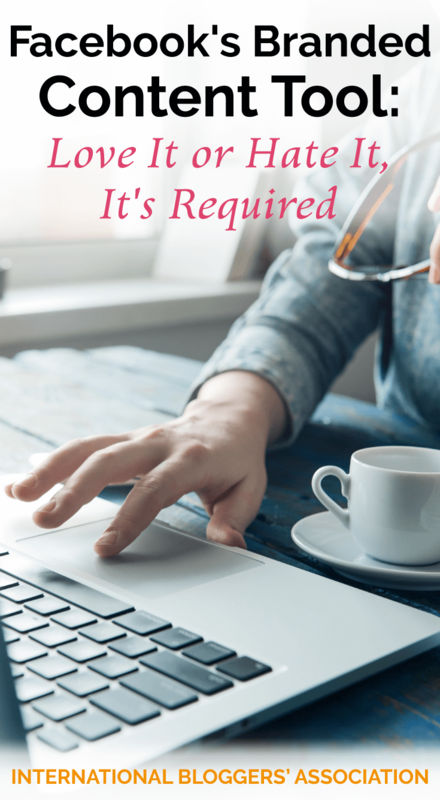 I was so excited when I first read about the Branded Content Tool because it promised to be so much easier than trying to get your page approved. Remember those days, way back in 2016, when everyone was changing their page names to their “personal name – blogger” or “blog name by a personal name” in an attempt to get the magical verification badge. 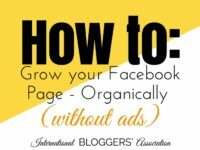 Entire posts were written with tips and tricks to get your page approved. I never could get approved, so I never promoted sponsored content on my page for fear of going to Facebook jail. And it is easier, sometimes. Why did Facebook create the Branded Content Tool? This is supposition on my part, but I am assuming Facebook did it to protect themselves. Facebook is an American company, therefore subject to American laws and regulations. The Federal Trade Commission (FTC), the branch of the United States’ government in charge of things such as advertising, is attempting to get a handle on this whole new beast called “influencer marketing.” The FTC started cracking down on blog posts that did not disclose the blogger was compensated to write the post a few years ago. Now the FTC is cracking down on brands and influencers that do not disclose their relationship in social media posts. Huh? In layman’s terms: Facebook doesn’t want to get fined by the FTC if bloggers/celebrities/etc. promote products without telling people it is an advertisement. It is considered deceptive advertising and Facebook could be held liable just as print or television media outlets would be. Even if you or the company you are representing isn’t in the United States, Facebook is, and that means anyone using Facebook needs to play by these rules. What is Facebook’s Branded Content Tool? It is a little handshake icon that appears when you create a post on Facebook Page (not in groups as of this time). Once the post is published it looks like this. 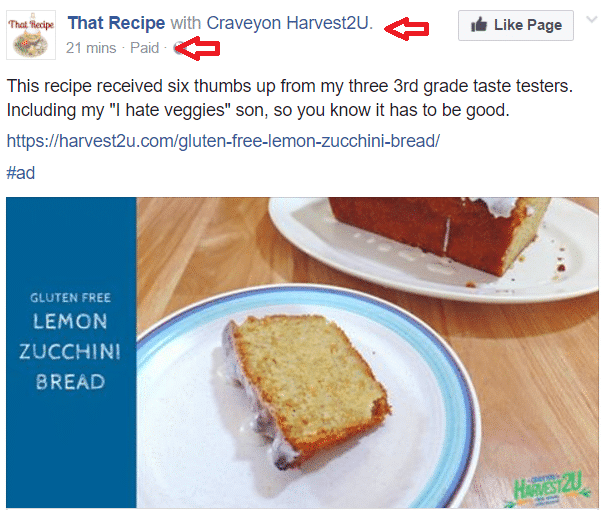 The red arrows indicate extra information added to branded content posts when they appear on Facebook. As soon as it posts, the brand you tag is notified and has the option to amplify your reach (share your post) and to view statistics on your post’s performance. This removes the hassle of having to pull the data yourself and report it as some sponsors request. How to apply for and use Facebook’s Branded Content Tool? If the tool isn’t on your page yet, you need to apply. Don’t worry, it is painless. Go to the application page here, select your page and click send. You should be approved within a day or two. Both of my pages were approved very quickly. But, it isn’t instantaneous. So, don’t wait until you need to use it to apply. 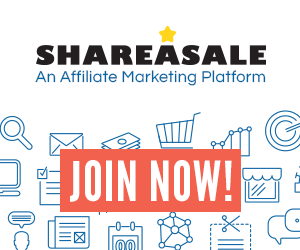 Should you still add #affiliate or #ad? I do, just, so it is completely clear to everyone I was compensated for the post. When you should use Facebook’s Branded Content Tool? We define branded content as a creator or publisher’s content that features or is influenced by a business partner for an exchange of value. I read that as, if you get anything for the post, even potentially such as with something an affiliate link, use the branded tool. If Facebook thinks it is branded content and you did not use the tool they will remove it from your newsfeed and notify you. Yippee, they tell you, and you can petition it or change it, except… you can’t. Which leads to our next section. What you can’t do with Facebook’s Branded Content Tool? I have tested the tool a few times and have found out that there are still some problems I hope Facebook will address. You can’t really petition or change anything. Forgot to tag your business partner with the branded tool? Too bad! Delete the post and write it again. The only thing you can change after publishing is the text in the post. I tried explaining this to Facebook twice via the petitioning method. Either they have a huge staff dedicated to reviewing this and can turn it around in minutes, or it is all automated response. The good news is, only the single post is removed, and you are not seemingly punished in any other way. Though I would imagine if an account repeatedly refused to comply they would shut then down. OCTOBER 2017 UPDATE Facebook has fixed this and if you forget to use the tool you can add the sponsor if Facebook catches it and sends you a warning. You still can’t change the post if you notice you forgot to use the tool and you should have. You can only use the branded content tool if your partner is on Facebook. I tried to promote a seminar that did not have a Facebook page for me to tag. My content was removed, and my explanation was denied within two minutes of being sent. 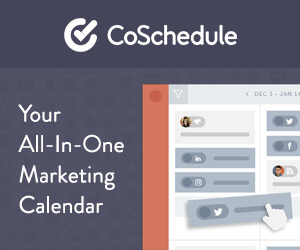 You can’t use third parties to schedule your posts. This is the one that annoys me the most at the moment. 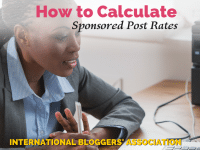 I use Co-Schedule (affiliate link, the IBA receives a commission at no cost to you if you sign up through the link). It makes my busy blogging life so much easier. I write the post, scroll down the page a little and write all of my social media promotions at once. But the Branded Content Tool only works inside of Facebook. And you can’t go back and edit a post to make it branded content. I tried. You can schedule a post to Facebook, but if the blog post isn’t live yet, Facebook can’t pull the open graph data. Which means there is no photo, headline or description for the link. That’s the way it is for now. If you have used Facebook for any length of time you know things are constantly changing. I am writing this post in early June 2017. If, or should I say when, Facebook changes things I will try to come back and update this post. Even though it isn’t “perfect” in my opinion, it is far better than the old system. What do you think? Have you used Facebook’s Branded Content Tool? What improvements would you like to see Facebook make?